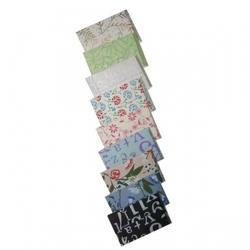 To provide best quality products to our customers, we are engaged in manufacturing, supplying, wholesaling and exporting good quality Paper Envelope that is widely used in rapping thing. Our entire range of products is available in elegant designs, various colors, sizes and at most reasonable market leading rates. 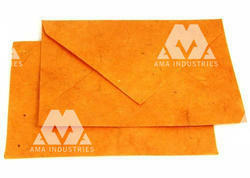 We are producing leaf printing envelopes crafted in conformation with current market trends. Commonly used all over the country, this envelopes printing service can be customized as per the specifications provided by the clients about color, sizes including window, t4 and protector envelopes. > This envelope made by designer embosed paper. > This envelope designing uper side GOLD leafing. > This envelope has many colour option. > This envelope used for shagun in wedding , reception , engagement , roka , baby shower ceremony , birthday party or as per customer like. > This envelope can hold maximum 1000 rs.